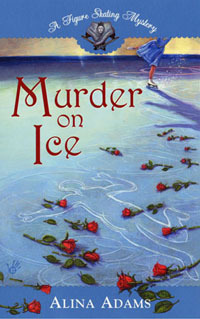 Just in time for the holiday season, S'More Entertainment has put out a DVD of a 2006 production of The Nutcracker on Ice, starring World Pair Champions Tai Babilonia and Randy Gardner, and Olympic Silver Medalist Linda Fratianne. (At least, their press release says the performance was taped November 2006 at the Auditorio Nacional Theatre in Mexico City. Amazon lists it as 1998). The company sent me a copy for review, and, this snowy, Sunday afternoon, I popped it in to watch alongside my 8 and 4 year old sons (my almost 1 year old daughter wobbled between us without much interest). The four year old was interested to see the dancing Nutcracker, but had a hard time following the story due to a baffling editorial choice on the part of the DVD's producers: Instead of one smooth broadcast, the recording includes the original bumpers that came with the television broadcast. Meaning that, every ten minutes or so, the action stops for a voice-over to tease what's coming up in the next segment. After a fade-out, the show returns, but it picks up in the middle of another scene. For instance, we see Clara skating in front of her wrapped present under the tree, then cut away to come back and she's got the Nutcracker in her arms. If you didn't know where it came from, you'd have no idea what just happened. (My eight year old, who was more familiar with the story, had less trouble keeping up, but even he wondered where the Rat King suddenly appeared from). This is not the only Nutcracker on Ice currently available for purchase. 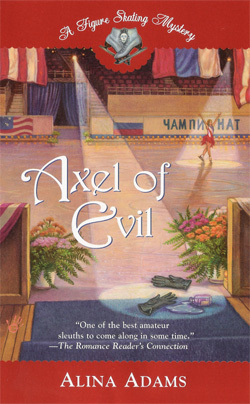 There is the Oksana Baiul/Victor Petrenko version from 1994, and the Dorothy Hamill/Robin Cousins from 1982. 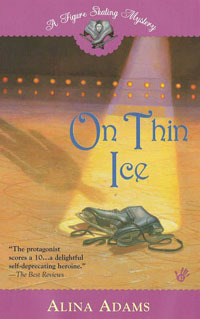 Both are full-length ice ballets. For Where Are They Now interviews with Tai Babilonia, Victor Petrenko, and Robin Cousins, click on their names.